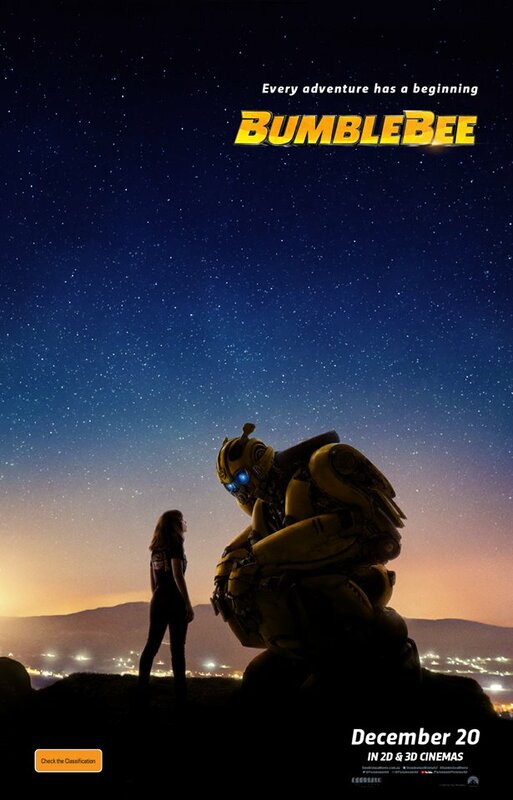 Release dates for the cinema release of the Bumblebee Movie (may or may not be Transformers 6 as its sub-title). Memo - Jorge Lendeborg Jr.
Movie poster from Paramount Australia facebook page (August 6th 2018), showing Australian release date. Last edited by griffin; 24th March 2019 at 08:53 PM. The release date for the DVD/BR in Germany is April 2019, which should be the same for most countries, or close to it. According to TFW (who didn't quote or credit a source, so I can't verify this), some release dates for the Bumblebee Movie have been revealed, including Australia, which is claimed to be Thursday December 20th. IMDB has some of these dates, but not the Australian release date, so I can't tell where they got it from. The listings note that the UK and France has a release date of December 26th, while Germany and New Zealand have the same release date as us in Australia. Most previous Transformers movies had their US release date brought forward a couple days to be world-first, so we could still see that happen with this one. Not that it will make much difference, as this time, there will be a novelisation out about a month before the movie comes out. Updated the Australian release date, now that it is on IMDB... and it is a week after what TFW claimed in their news posting (above) without a source. Our date is Boxing day, which means having to wait five days after it is released in America and a number of other countries. But at least we aren't as bad as Japan, which always gets a month or two delay with the live action movies, but this time they could be waiting 4-5 months before seeing the Bumblebee movie there, as it is expected to be released there between March and May. Never knew that about Japan. What's the reason behind the delayed release? Not sure, but they've always had to wait at least a month to see each Transformers movie (late July or early August, from a late June global release)... and it can't be for translating it because they were released in various non-English speaking countries at about the same time as it was released here and in America. This time it just seems really excessive, and will mean the Bumblebee movie toys (and maybe Studio Series toys for the BBee movie), might not released there until at least February next year. Promotional poster and trailer for Japan, still noting "Spring 2019" (our Autumn), instead of an actual release date, so they still mustn't have a date locked in yet. Do a TV series marathon of "The Best" Bumblebee episodes from across G1, Animated, Prime and RiD. It’s a nice idea and he still wants a Bbee themed party, but he was really looking forward to going to the movies with his friends in Bathurst. I’ve told him we will still do that, but it will have to be seperate from his birthday.